It was really at this time that Sculthorpe came into its own. With the influx of crews from the States, more accommodation would be needed and quickly. A sustained period of redevelopment, improving of runways and hardstands, saw Sculthorpe gain the designation of Very Heavy Bomber base. It was anticipated that the enormous Boeing B-29s would be stationed here, but when the war in Europe came to an end, further deployment at Sculthorpe ceased and the B29s never arrived. 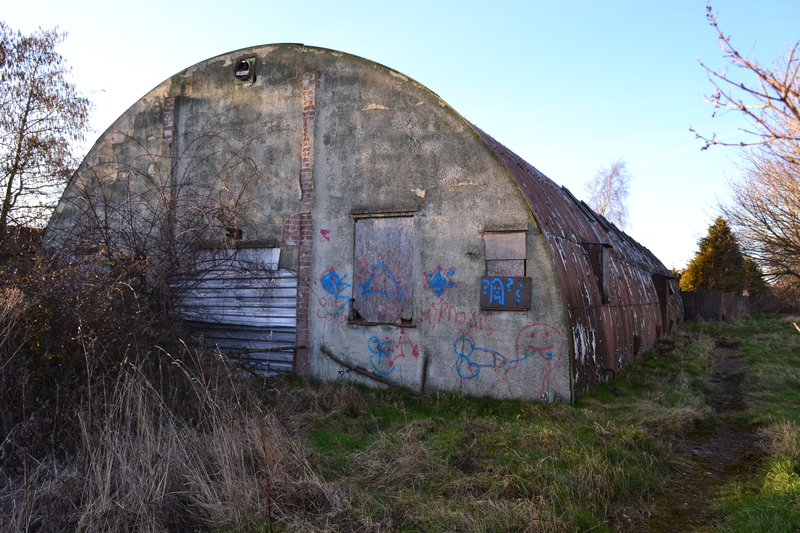 However, the rise in ‘Soviet Aggression’ and post conflict tensions during the Cold War and Berlin airlift, secured the immediate future of Sculthorpe. 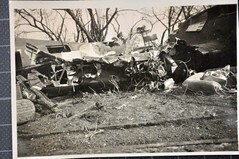 Atomic weapons were stored here ready, when the North American B-45 Tornado found itself becoming the front-line four engined bomber designed to attack Soviet targets from the UK. During 1952, the 47th Bomb Wing of the Strategic Air Command were redeployed here from the United States. This wing consisted of the 84th, 85th, and 86th BS, along with the 420th Refueling Sqn and the 19th Tactical Reconnaissance sqn. These units operated a number of types including the: B-45, B-66, KB-29, KB-50, and RB-45C aircraft. Nestled away in the heart of Norfolk is a real hidden gem. 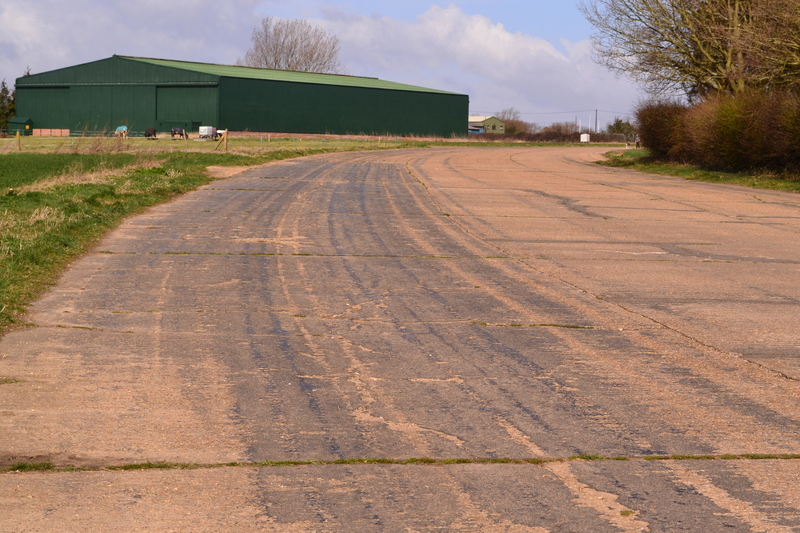 West Raynham remains an incredibly intact airfield, complete virtually in its entirety. But don’t get over excited, the diggers, cranes and bulldozers are there and already casting their blows. 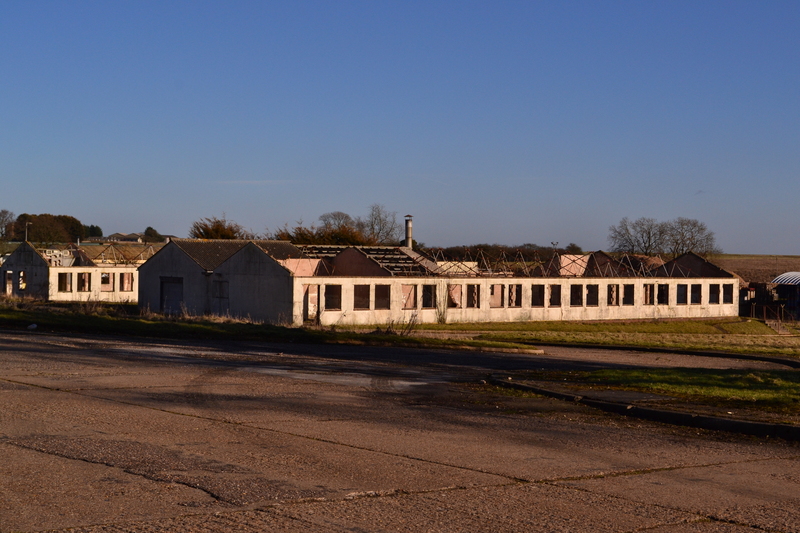 Built in 1939 it had four runways, all of grass with 36 pan type dispersals, an accommodation block, ‘C’ type hangars and all the associated support buildings of a wartime airfield. Used by bomber command, it would see a range of twin-engined aircraft operate from within. 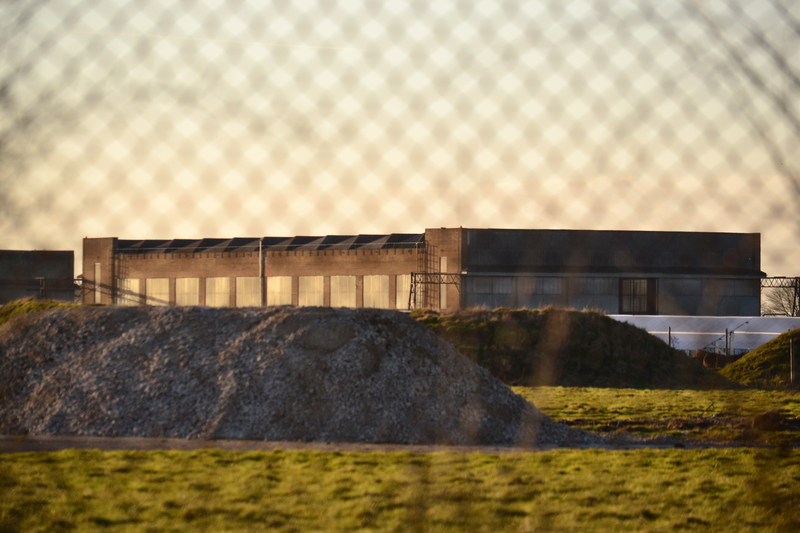 West Raynham’s hangars will be holiday flats. Opened in May 1939, it was typical of its time. The first squadron to be based here was 101 squadron RAF, equipped with Bristol Blenheim IVs and later Vickers Wellington 1cs. 101 sqn began the war with daylight attacks on oil supplies in the port areas, communication lines and enemy airfields. A duty that later changed to the more successful night fighter role. 101 eventually left West Raynham, being replaced by further Blenheims of 114 squadron. Other squadrons to arrive included: 2 Grp TT flight, 76, 139, 18, 90 (with B17c ‘Fortresses’), 614, 18 and 1482 squadrons. A variety of aircraft came with them, including: Lysanders, Defiants, Bostons, Hampdens and Fairy Battles giving West Raynham a real diverse range of types. In September 1942, two more squadrons arrived at West Raynham, 98 and 180 operating the North American B25 ‘Mitchells’. In the following year, Between May and November 1943, the grass runways were removed and replaced with concrete runways, one 2,000 yards (1,800 m) long and the other 1,400 yards (1,300 m) long. To coincide with this, the accommodation area was also expanded to allow for the influx of new personnel. West Raynham was now able to accommodate up to 2,456 men and 658 WAAFs. The Officers mess is destined for other uses. Night intruder attacks from West Raynham increased. De Havilland’s ‘Wooden Wonder’, the Mosquito II, FB, VI and NF 30s of 141 and 239 squadrons taking over this role. A number of switching between nearby Sculthorpe and Great Massingham, led to regular changes in residency, indeed as the war closed and the jet age beckoned, West Raynham would be the home to many types of modern fighter and their squadrons. Fighter trials became the order of the day, Tempests, Spitfires, Firebrands, Sea Mosquitos (see here), Sea Venoms, Sea Hawks Meteors, Javelins and Canberras to name but a few. The Royal Navy based many of their types here for various trials and research projects. The last piston examples to fly from West Raynham were the Fireflys and Hellcats of 746 sqn RN as part of Naval Fighter development Unit. Further fighter trials and development units continued into the jet age, and the last aircraft to grace the skies over West Raynham were the Hunters and Canberras of 45, 85 and 100 squadrons. Then the roar of the jet engine was replaced by the Bloodhound missile and West Raynham began its decline into closure. In the 1994 West Raynham finally closed its hangar doors and its personnel moved out, the airfield itself remaining in MOD hands. Sadly the housing lay empty and it quickly became derelict, targeted by the vandals, the accommodation blocks were damaged and windows smashed. Long debates and scornful banter over the housing shortage boiled over in parliament and sites such as West Raynham were seen as Prime land, with a huge infrastructure already in place, they were half way to meeting the needs of a growing community. The MOD eventually gave in, agreed to the sale and the site was handed over. The Tower stands in the late sun shrouded in scaffolding. A sign of new life? Initial attempts at obtaining a Grade II listing to a large number of the airfield’s buildings was made by the English Heritage but sadly, this was later withdrawn and no follow-up made. 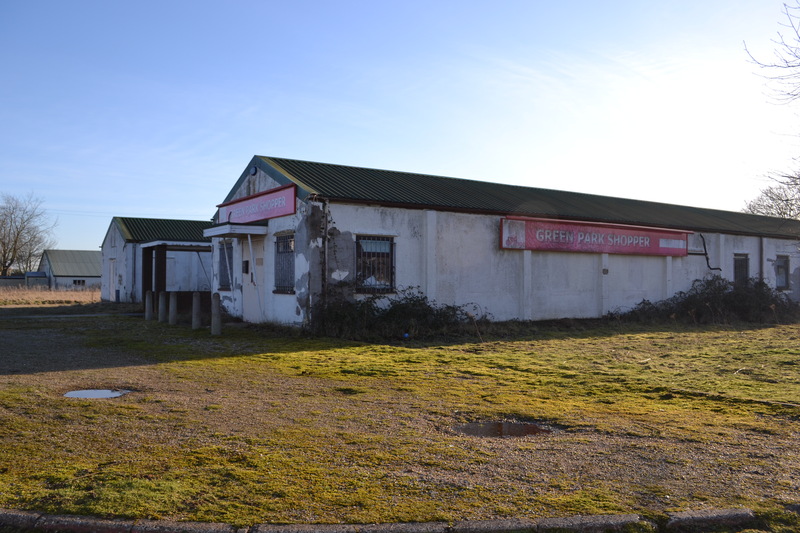 A number of planning applications have been passed over a period of years and as a result, the number of developments designated for this site have increased. Luckily, many of the original homes will and have been refurbished and sold off, thankfully retaining their original style and layout. The Hangars remain and will be turned in to Holiday apartments. How much of the other airfield architecture will remain in its original design is yet to be seen, but much of the north end of the runway and Bloodhound sites have already gone, being replaced by the beginnings of what is reputed to be, Britain’s largest Solar Park. The control tower remains along with a wide range of smaller ancillary buildings, shrouded in scaffolding maybe it will become a cafe or other ‘social centre’. 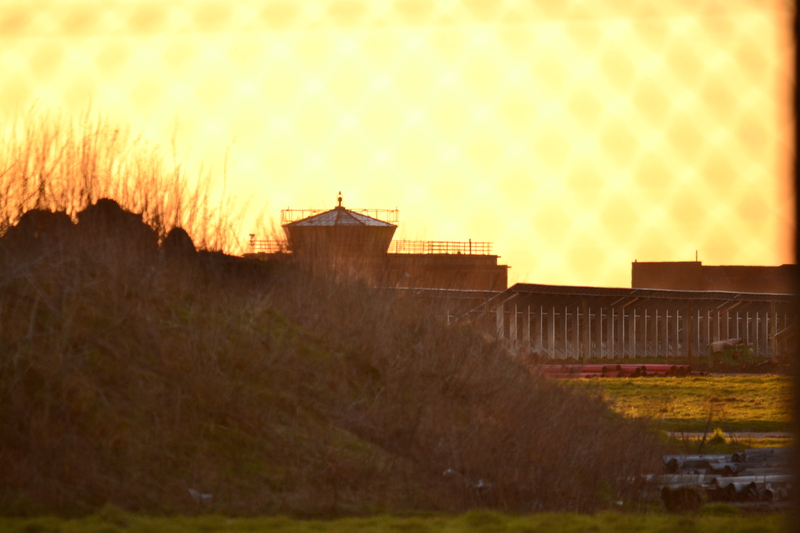 The Rapier Training dome still stands as does the elaborate Officers Mess. The adjacent tennis courts have now been reclaimed by trees and like the mess, will no doubt will find a new lease of life in some other guise. 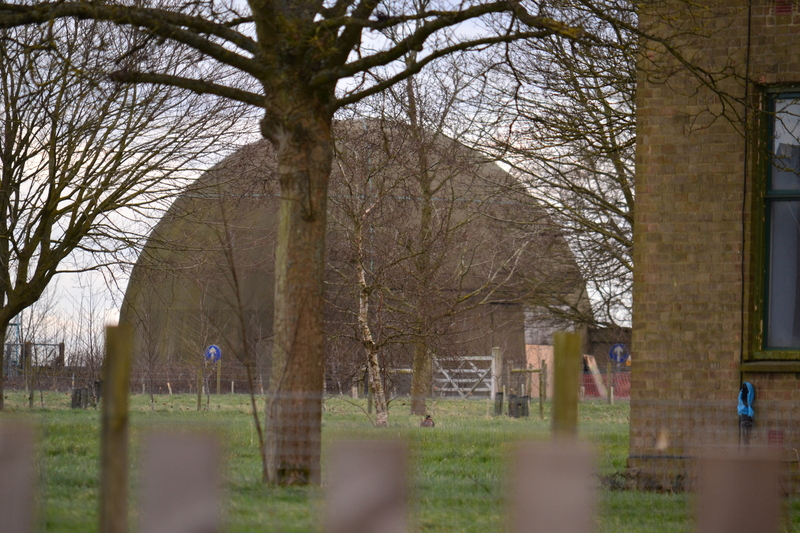 The Rapier training dome resembles the gunnery trainers found at other older airfields. If you drive round the airfield, to the east side, you can still obtain good views across to the hangars. 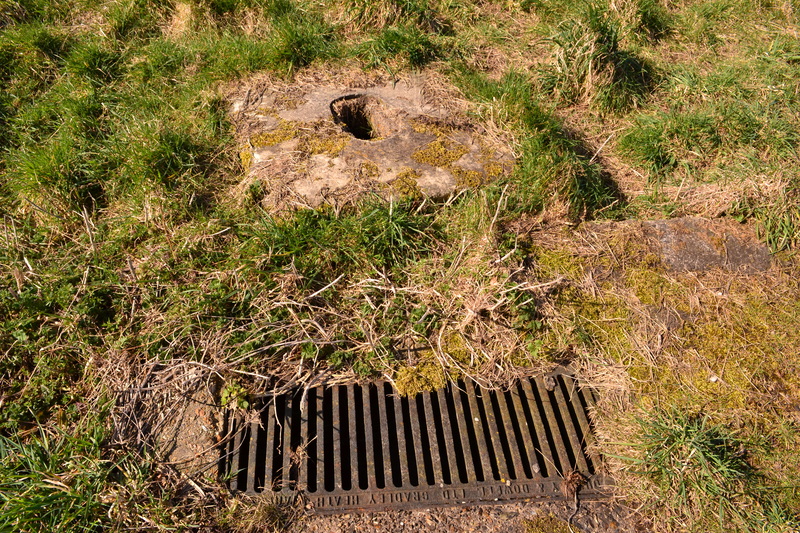 The original Battle headquarters remains buried and pill boxes for the airfields defence can also be found. 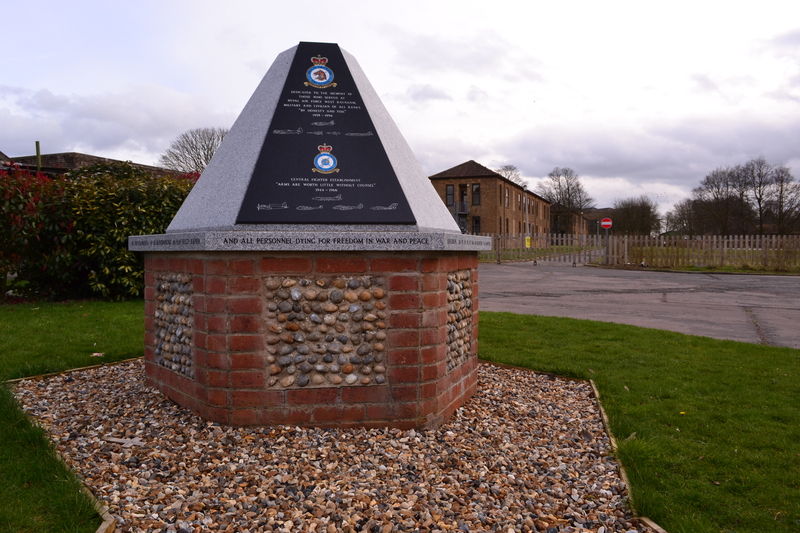 A memorial to the crews of West Raynham has been erected in what is now the centre of a new housing area that utilises the old accommodation blocks. Around it remain fences and grazing sheep, the buildings behind them yet to see their fate. West Raynham’s lasting legacy may be down to Flight Lieutenant Alan Pollock, flight commander of No 1 Squadron, who around midday on 5th April 1968 flew a Hawker Hunter FGA.9 (XF442) between the two spans of Tower Bridge in London. This stunt, a protest by Pollock at Government defence cutbacks, resulted in Pollock being invalided out of the RAF on ‘medical’ grounds, the alternative being a rather more embarrassing court-martial. West Raynham remains today an incredibly well ‘preserved’ airfield, complete in its entirety. Its history is well documented in its walls and architecture. The layout, even as private housing is clearly that of an airfield, with the feel of an airfield, but what of its future? What will eventually become of this grand and large segment of British History? Only time will tell. 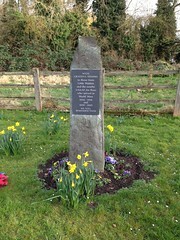 West Raynham’s memorial stands in the centre of the refurbished housing development. Just a few minutes drive from West Raynham to the west is another wartime airfield and our last for today. Whilst the majority of the infrastructure has gone, all is not lost as it is a private airfield open to landings and with access in part via a footpath, a real delight to end the trail. We visit the picturesque village of Great Massingham. 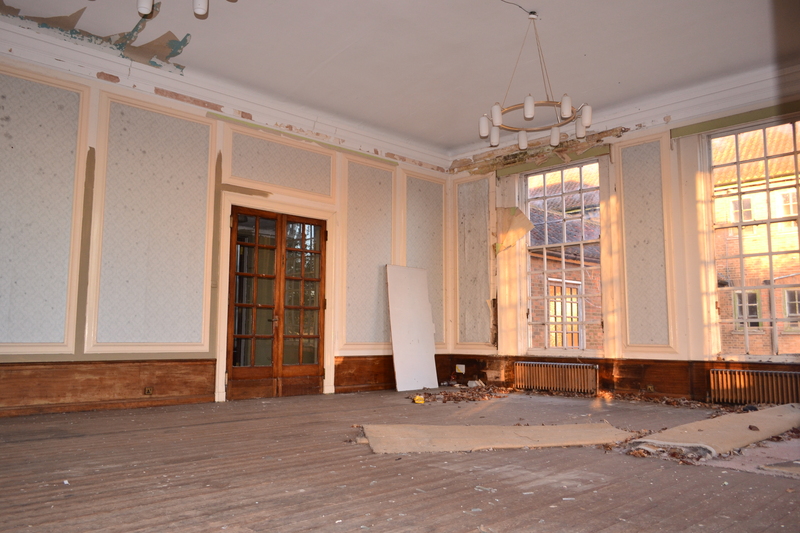 UPDATE – December 2015 – RAF West Raynham development plans have been released. The majority of buildings are to be retained and used for housing and small business creating a Garden Village, for details see here. Before entering Great Massingham, it is recommended that you stop at Little Massingham and the church of St. Andrew. The Roll of Honour in St. Andrew’s Church, Little Massingham. Inside this delightful but small church is a roll of honour*1 that lists enormous amounts of information about the crews who served at the nearby base. It gives aircraft details, mission dates and crew names amongst others. It is a hugely detailed collection of information covering 1940-45 in which time 600 Massingham crews lost their lives. Seven of these crew members, are buried in the church yard here: Sqn Ldr. H. Lindsaye (RAF), Sgt. J. Wilson (RNZAF), Sgt. J Poole (RAF), P.Officer A Lockwood (RAF), Flt. Sgt. 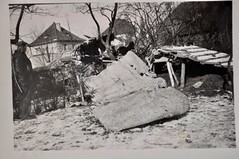 G. Relph (RAF), Flying Officer C Ronayne (RAF) and Flying Officer J Watkins (RAF), all being killed in different circumstances. This is a valuable and enlightening stop off to say the least. On leaving the church turn right and you will almost straight away enter the village of Great Massingham. With its ponds and quaint houses, it has to be one of Norfolk’s greatest visual assets. The airfield is to the east behind the village holding the high ground, which makes for a very windy and open site whilst the village nestled on the lower ground remains calm and quiet. 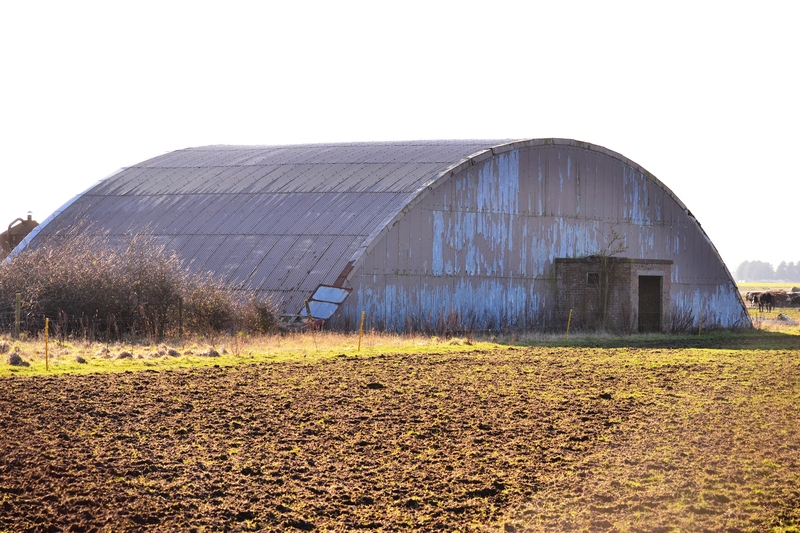 Built originally as a satellite for the nearby West Raynham, Massingham opened in 1940 with grass runways initially under the command of 2 Group, Bomber Command and then latterly 100 Group. The distance between both Raynham and Massingham was so small, that crews would cycle from West Raynham to Massingham each morning before operations. There were a total of four T2 and one B1 hangars built on this site. A communal site to the south-west of the village and sufficient accommodation for 1,778 RAF and 431 WAAF personnel. Great Massingham had sixteen pan-type hardstands and twenty loop-type hardstands, giving a total of thirty-six dispersal points across it. 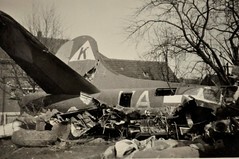 The main accommodation and communal sites which totalled 5 and 2 respectively, were near to Little Massingham church, to the west and further areas to the south of the airfield . The bomb dump and Ammunitions stores were well to the north. 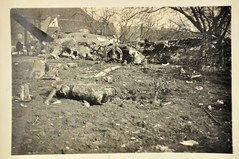 A number of anti-aircraft batteries were scattered around the perimeter offering good protection from attacking aircraft. The first occupants of Massingham were the Blenheim IVs of 18 sqn RAF who arrived in the September of 1940. They stayed until April the following year performing in the low-level bombing role. Like most other RAF fields around this northern area of Norfolk, it would be dominated by twin-engined aircraft like the Blenheim and its replacements. Shortly after the departure of 18 sqn, 107 sqn arrived also using the Blenheim IV again performing in the same low-level bombing role. 107 sqn’s stay was to be short, literally only three months before moving on. Massingham then took on a new role and a new bread of aircraft, albeit for only one month. The mighty B-17Cs arrived with 90 sqn to perform daylight bombing raids. At high altitude, the crews found it difficult to operate finding guns jamming and equipment failing due to the extreme cold; whilst generally liked by the crews, the early models proved to be less than successful with the RAF. 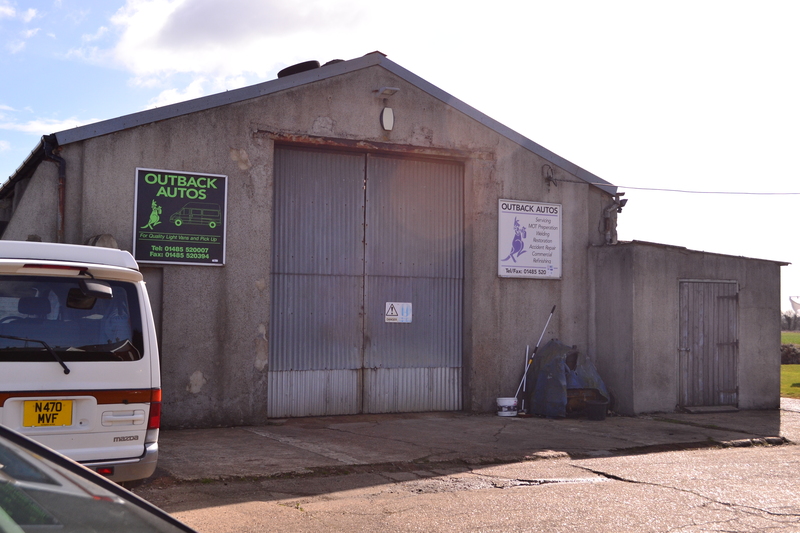 Gymnasium and attached Chancel now a car repair shop. Following the departure of the B-17s, 107 once again returned, this time with updated aircraft. The new Boston III (Havoc) which proved to be a big improvement over the Blenheims of previous. 107’s stay was much longer this time, but just prior to them leaving in August the following year, a Free French unit, 342 sqn, arrived also operating the Boston. These postings would eventually see the end of Massingham’s role as a day bomber station. 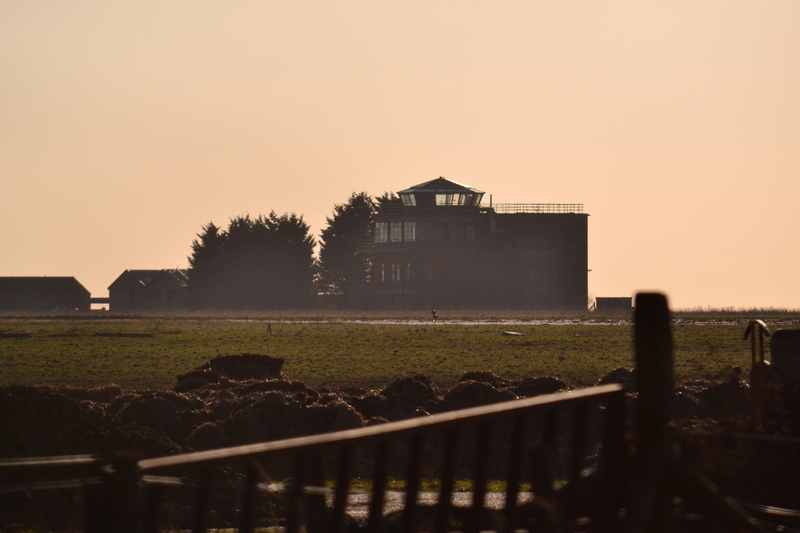 Following their departure, Massingham was redeveloped and three concrete runways were laid; 03/21 and 13/31 both of 1,200 m (3,937 ft) and the third 09/27 of 1,780 metres (5,840 ft), giving the site the shape it retains today. 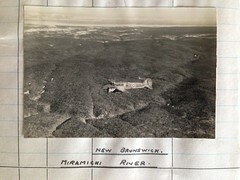 A year-long stay by 1694 Bomber Defence Training Flight with Martinets gave the airfield a much different feel. Target towing became the order the day. 169 sqn joined in June 1944 and began carrying out night intruder missions using a range of Mosquitos, a role they carried out until the cessation of conflict. 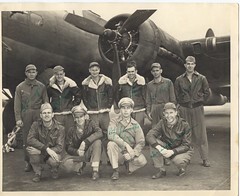 With them, came 1692 Bomber Support Training Unit, to train crews in the use of radar and night interception techniques. They stayed with 169 sqn until they both departed in August 1945, at which point 12 Group Fighter Command took over responsibility of the site. A number of post war celebrities were stationed at Massingham, they included FO. Keith Miller, the Australian Test cricketer, P.O. (later Squadron Leader) B. Edrich (the England cricketer) and the BBC commentator – Flt. Sgt. Kenneth Wolstenholme. 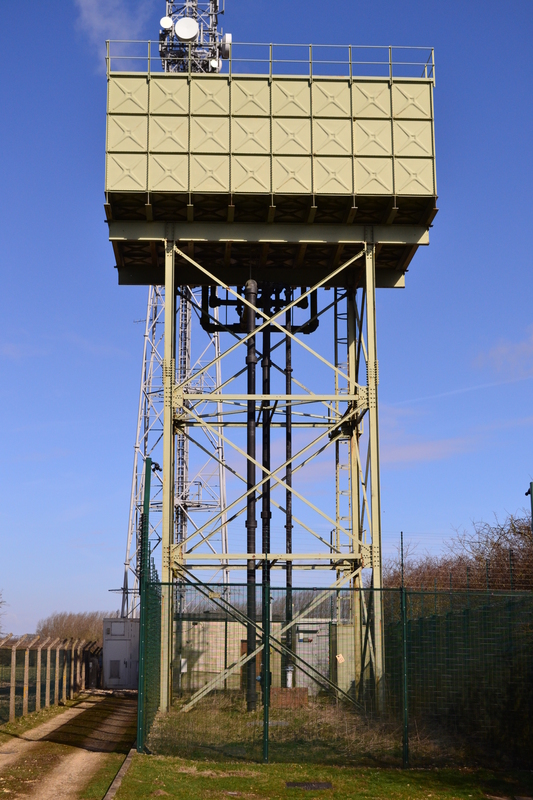 As radar and night interception roles developed, a new unit was created at Massingham, the Central Fighter Establishment (CFE) who were to trial different techniques and strategies for air interception, they later moved to West Raynham where they continued to carry out this role. 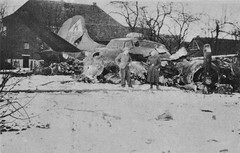 After they left, the airfield fell quiet and was very quickly closed. 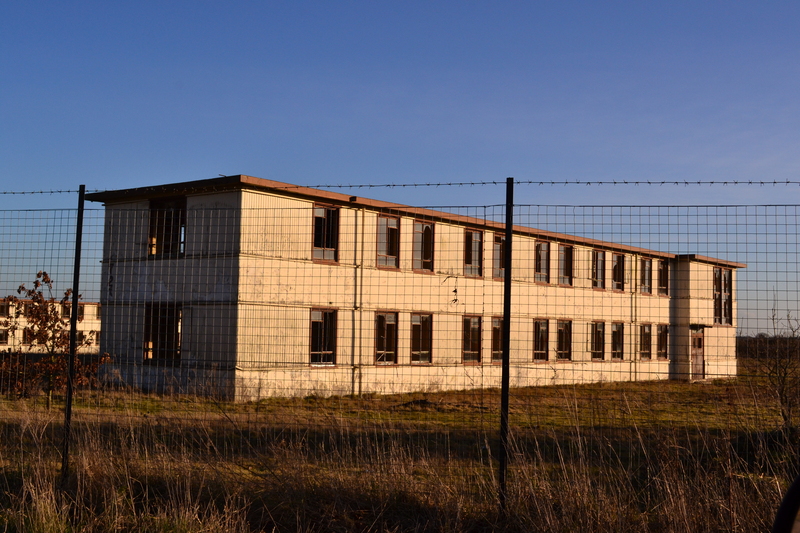 1946 saw the last personnel leave and it remained dormant until being sold in 1958. Bought by a farmer, a small private airfield has opened and flying visitors are welcomed with prior permission. Drainage remains around the perimeter track. Because it is still used for flying, Great Massingham has retained part of its three runways. The entire layout is visible from the air with each runway and the perimeter track still in place albeit in a much smaller width. The main section, still used for flying is full width, and gives a good indication of what the site must have been like when in full use. The airfield has a brow across the centre, so only a small part can be seen at any one time. A footpath leads from the village, up through a dispersal site and onto the peri track at the end of the runway. To your right at this point, the peri track continues on in an easterly direction, but this section is private. This track would have taken you toward the Watch office, Fire Tender and other storage sheds, all long since demolished. An area to the south, has now been cultivated, and what is believed to have been a blister hangar here, also long gone. The path turns left here and takes you round in a northerly direction. To your left is a T2 hangar, it is believed that this is not the original, but one that had been moved here from elsewhere. This however, cannot be confirmed, but there was certainly a T2 stood here originally. 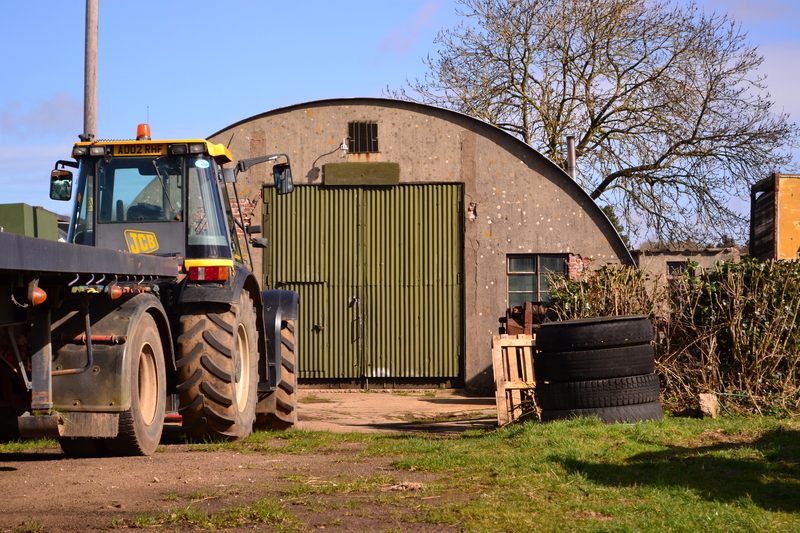 The track continues round, a farm building, very much like a hangar, houses the aircraft that now fly. Sections of runway drainage are visible and piles of rubble show the location of smaller buildings. The track then takes you left again and back to the village past another dispersal site, now an industrial unit complete with blister hangar. Other foundations can been seen beneath the bushes and leaves on your right. This may have been the original entrance to the site, although Massingham was unique in that in was never fenced off, not guarded by a main gate. Other examples of airfield architecture may be found to the north side of the airfield, indeed satellite pictures show what looks like a B1 hangar on the northern perimeter. The perimeter track and T2 hanger re-sited post war. After walking round, drive back toward Little Massingham, but turn left before leaving the village and head up toward the distant radio tower, itself a remnant from Massingham’s heyday. We pass on our left, the former accommodation site. Now a field, there is no sign of its previous existence. However, further up to the right, a small enclave utilises the Part of the Officers’ Mess, the squash court, and gymnasium with attached chancel. Hidden amongst the trees and bushes are remnants of the ablutions block, and other ancillary buildings. Continue along this road, then take the left turn, toward the tower. Here is the original high-level Braithwaite water tank and pump house, still used for its original purpose and in very good condition. Finally, a lone pill-box defensive position can also be found to the west of the village, some distance from the airfield in the centre of a farmer’s field. All small reminders of the areas once busy life. Great Massingham is a delightful little village, set in the heart of Norfolk’s countryside. Its idyllic centre, pubs and shops surround ponds and greens. A short walk away, is the windy and open expanse that once was a bustling airfield, resounding to the noise of piston engines. All is now much quieter, their memories but a book, some dilapidated buildings and a handful of graves. Standing at the end of the runway, looking down the expanse of concrete, you can easily imagine what it must have been like all those years ago. From Great Massingham we head east, to Foulsham, before turning north and the North Norfolk coast, an area of outstanding natural beauty and some fine examples of airfield architecture. Photos of Sculthorpe in its heyday can be seen here. 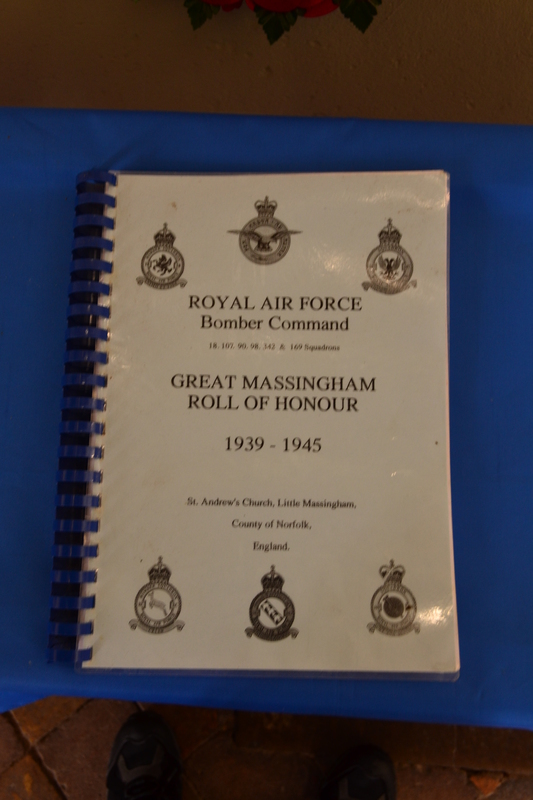 *1 A comprehensive history of RAF Massingham, including RAF material, is now under the care of the Massingham Historical Society. Contact Anthony Robinson ant@greatmassingham.net for details about the Museum or Roll of Honour, a hard copy of which can be purchased for £10.00. 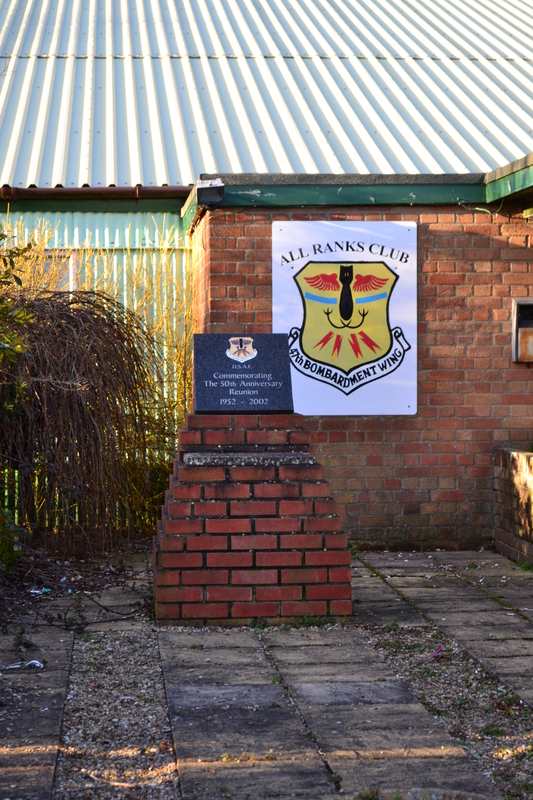 A small site dedicated to RAF Great Massingham is available here.